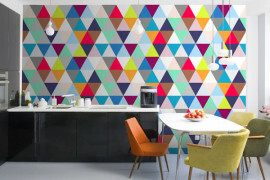 Paint a wall, arrange some furniture… simple changes can make a room go from drab to fantastic in minutes. 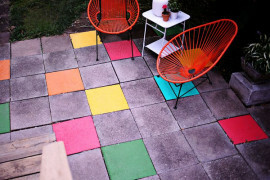 And out of the many little details that add a finishing touch to any space, only one lies beneath your feet- the floor! 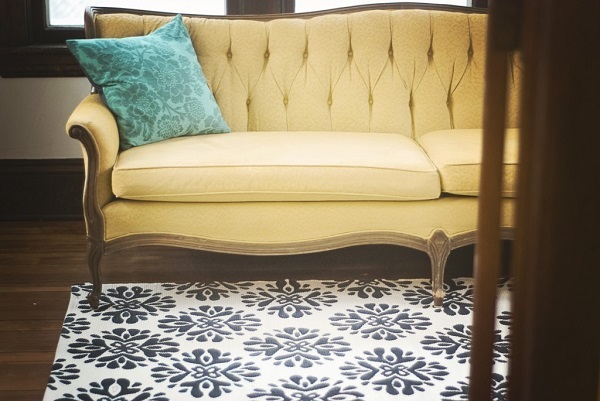 You can always change up the look of your floors with a wood stain or new tiles. But for a quicker transformation, roll out a rug. 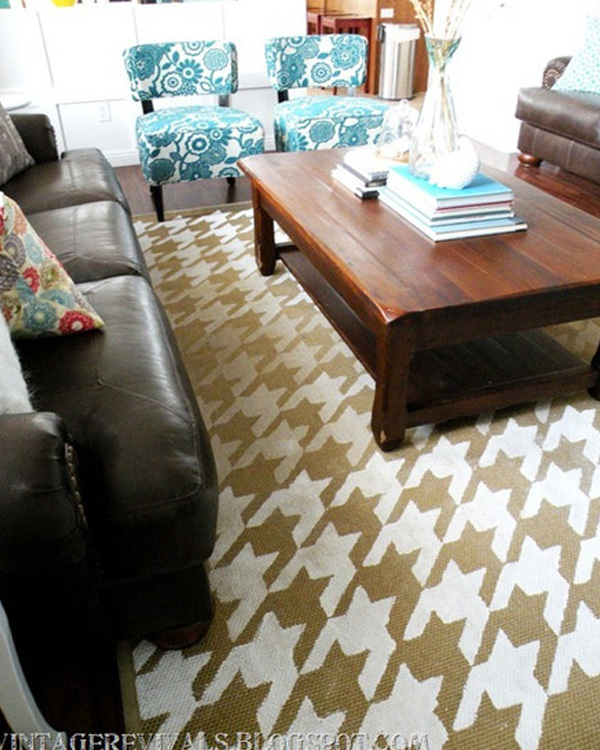 Here are 11 DIY rug ideas you can try today. If your room has a limited color palette and few textures, a patterned rug is an easy way to add some visual interest to your space. 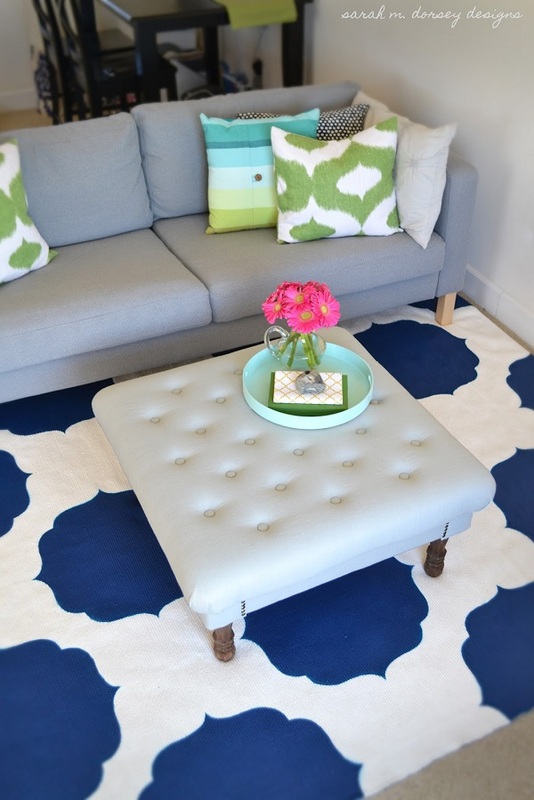 Sarah M. Dorsey Designs used a plywood stencil to paint royal blue medallions on a plain white rug. The result is simple but chic. 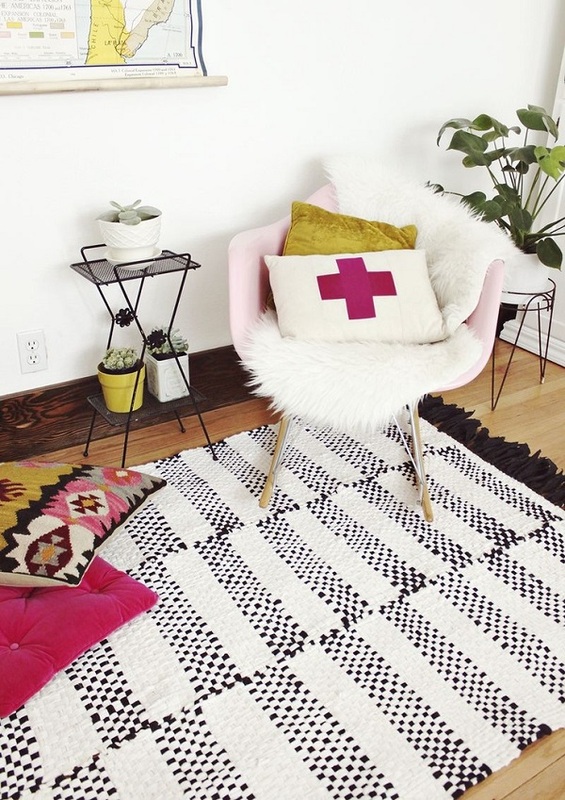 After seeing a department store rug with a hefty price tag, Jessi of Suzie Studios was determined to create her own version for her home. One white Ikea rug and hours of painting later… and she had a beautiful floral motif rug that fits perfectly in her modern space. Looking for a classic pattern that will never go out of style? Draw some inspiration from this houndstooth beauty from Royal Designs Studio. When painted in tan and white, the pattern acts as a neutral, tying other design elements together. 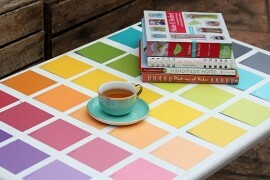 Shake up a room with a dose of vibrant color! 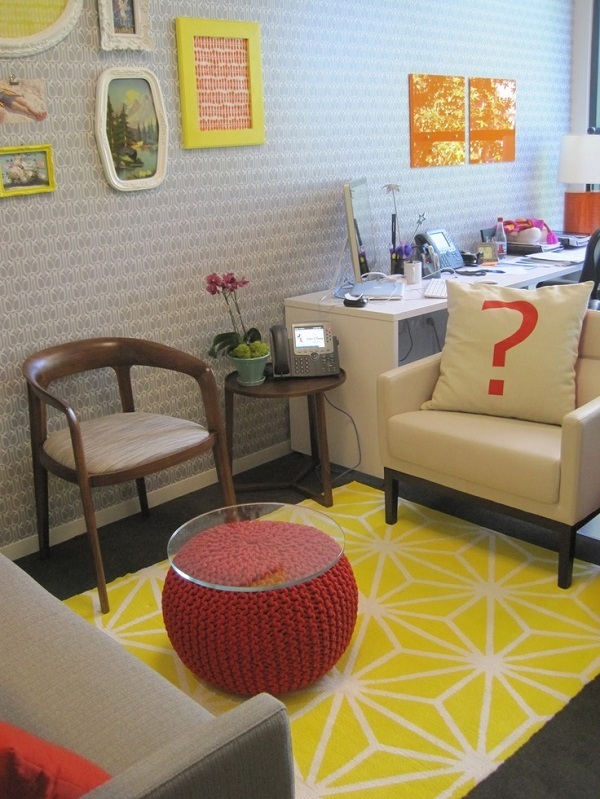 The lemon yellow hue of this geometric print rug from Adventures of an Almost 40 Year Old Intern isn’t for the faint of heart. Try a more toned down version in emerald or sky blue. 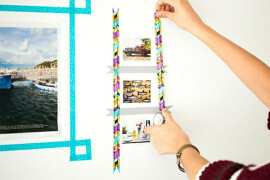 Handy with a glue gun? This handcrafted medallion rug featured by Shelterness is constructed using rolled jute rope discs. The earthy feel of this rug would make a great addition to a mud room or kitchen. Even the most hesitant crafters among us could tackle this black and white striped rug by A Beautiful Mess. Broadcloth, a cotton sheet, and some nails are the things you’ll need to hand weave this fun project. Another idea: make a smaller set for your bathroom. The woven texture is perfect for wet feet and will dry quickly. Stripes have never looked so wild! If you’re feeling adventurous or love animal print, this zebra print rug by The Home Depot is right up your alley. 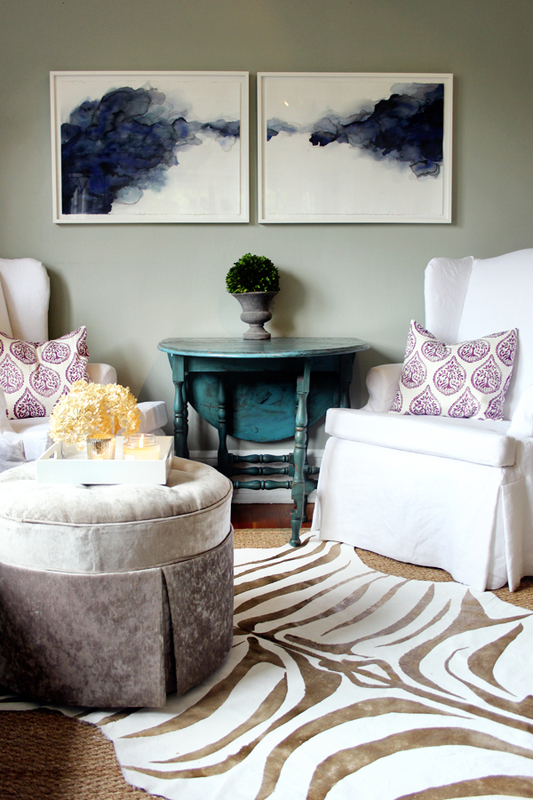 For a cooler toned color palette, use silver instead of gold paint. And if you prefer a more traditional look, go for classic black and white. Chevron stripes are a trendy take on the classic stripe pattern. This purple and white rug featured by Little Green Notebook uses a dry brush technique for a worn and shabby chic appearance. Change up the design a little by widening or spacing out the chevrons. 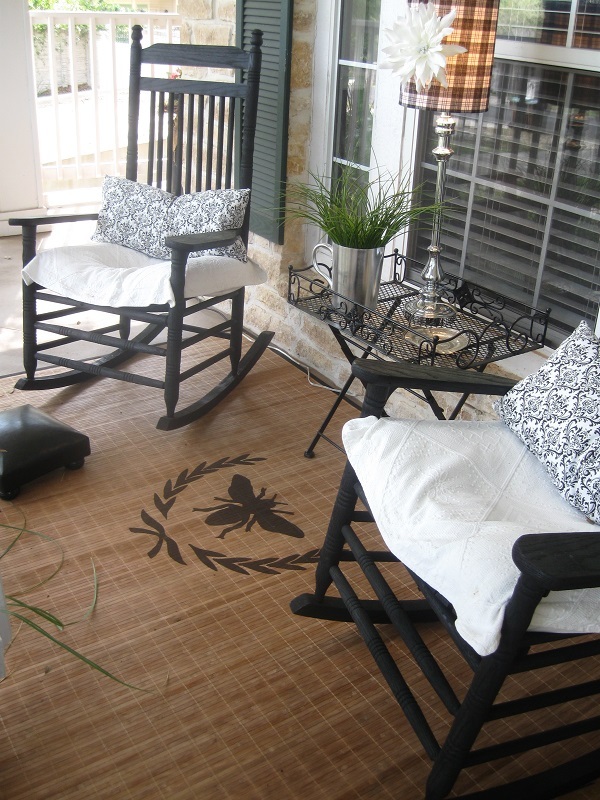 Angela of Twelve Oaks Manor needed a low-maintenance, durable rug for her porch. 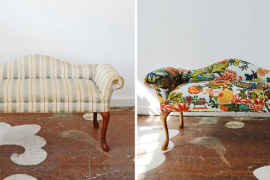 After giving up the hunt for an inexpensive piece, she opted to create one herself. A simple hand-painted motif featuring a bee and laurel leaf on a bamboo rug led to a simple outdoor solution that will last a long time. No need to brave the elements to enjoy the outdoors- bring a little nature right into your home. This gorgeous gray and white rug by Lux Per Diem combines a patterned fabric with a drop cloth to make a gorgeous statement piece. 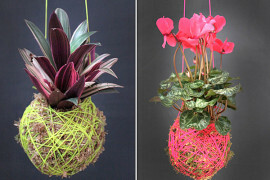 You don’t have to be a design expert to create beautiful decor accents for your home. Some inspiration is all you need to get started. 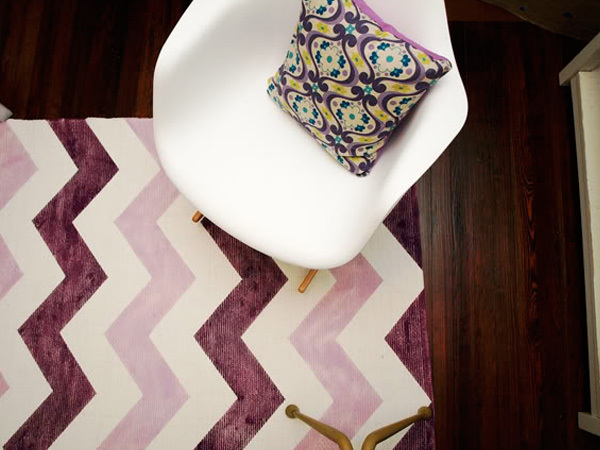 Feel ready to dive into your own DIY rug project? Let us know in the comments below.